I’m a little behind on this but I returned from my Christmas travel to find my Secret Santa package! From Karley & Henry at All In, I am REALLY excited for my gift! 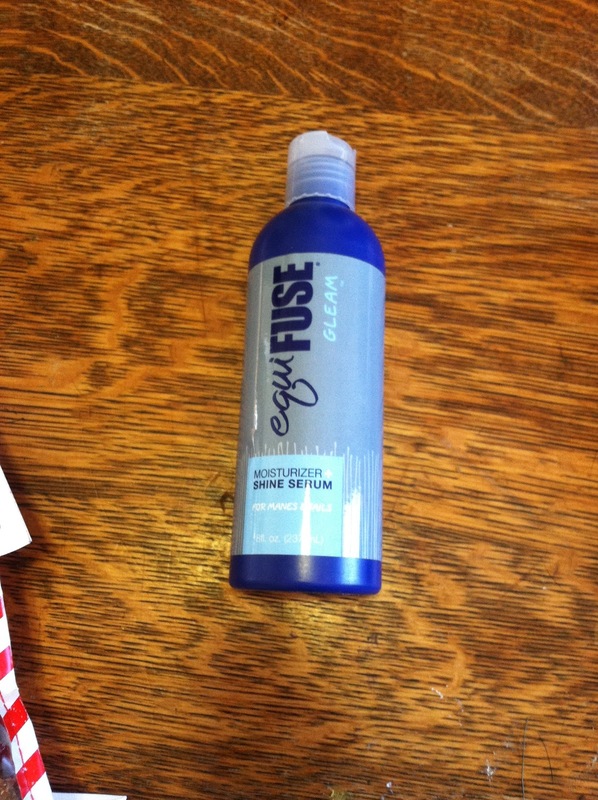 First up: a bottle of EquiFuse Gleam! It’s like Karley reached into my brain: the last few times I’ve gone out to the barn, I’ve been working on really deep grooming for Tristan, and that has included adding detangler to his mane and tail to help combat the winter dryness. I had just started thinking about what kinds of moisturizers I could use beyond my very basic detangler, and then not even 24 hours later this arrived at my door! 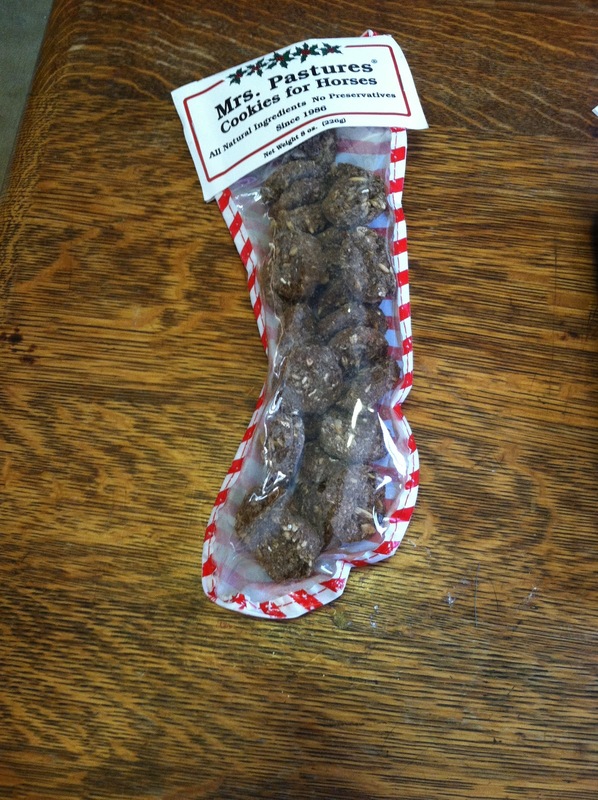 There was also a stocking of delicious treats. These were definitely Tristan’s favorite; he couldn’t figure out why I was spending so much time rubbing gunk into his mane, but he gobbled up a treat right away. I was actually running low on treats, so these are a welcome stopgap! Thank you to Karley and Henry, and to Tracy at Fly on Over for hosting the Secret Santa swap, which is such a fun part of my holiday season. Last but not least, my gift was for Karen of Not So Speedy Dressage. I was excited to see what she thought, and it turns out she was thrilled. 🙂 I’m really touched to see it received so well. Gift swaps are the best! Great stuff! The gift exchange has been so much fun this year. oooh nice! i'm definitely always interesting in new grooming products through the winter… my mare doesn't really get super dirty, but her tail always ends up infused with mud… ick!